A monthly podcast featuring short segments discussing various aspects of the Doctor Who universe! Episode 4: Doctor Mysterio Jr.
Hello, Whovians! This Is Where It Gets Complicated is back! This month, our trio of hosts speak at great length about TORCHWOOD S01E04: CYBERWOMAN. We found out first hand why secrets don't make friends, that Ianto cries a whole lot, and that Owen is a creepy weirdo (and that's putting it lightly). Then, it's time for the Semi-Finals and Finals of our COSTUME SHOWDOWN! Who was the best dressed Doctor in our opinion? In FINISH AT THE FINISH, we build a great big golden statue for everyone's favorite shapeshifter Frobisher! We reviewed the comical, but also very bizarre Big Finish audio THE HOLY TERROR! Plus pizza talk, murder cats, and much more! We're back, and boy do we have a fantastic episode for you! First off, our time traveling trio tackles some breaking Doctor Who news about a once lost Patrick Troughton serial. Then, in EVERYTHING CHANGES, we discuss the TORCHWOOD episode entitled "Ghost Machine"(S01E03). Then, we have the remaining eight Doctor's battle it out to see who will make it to the semi-finals in our COSTUME SHOWDOWN! Were the battles easier this time around, or has it gotten harder to decided which Doctor is the best dressed? After that, Mike traveled down to Geeky Teas for a very special interview with shop owner Donna! In our Big Finish segment, FINISH AT THE FINISH, we ventured back to 1511 to hang out with the Weeping Angels and Michelangelo in "Fallen Angels"! Welcome to the second edition of This is Where It Gets Complicated! This month Lauren, Mike, and John continued on their journey through TORCHWOOD by watching S01E02 "Day One". The trio also had to make some tough decisions in the Costume Showdown tournament, and maybe some not so tough ones as well. Then, in Finish At The Finish, they continued listening to the BIG FINISH audio adventures of The Doctor and Donna Noble with "Time Reaver"! Episode 1: Let's Get Our Booze and Do This! 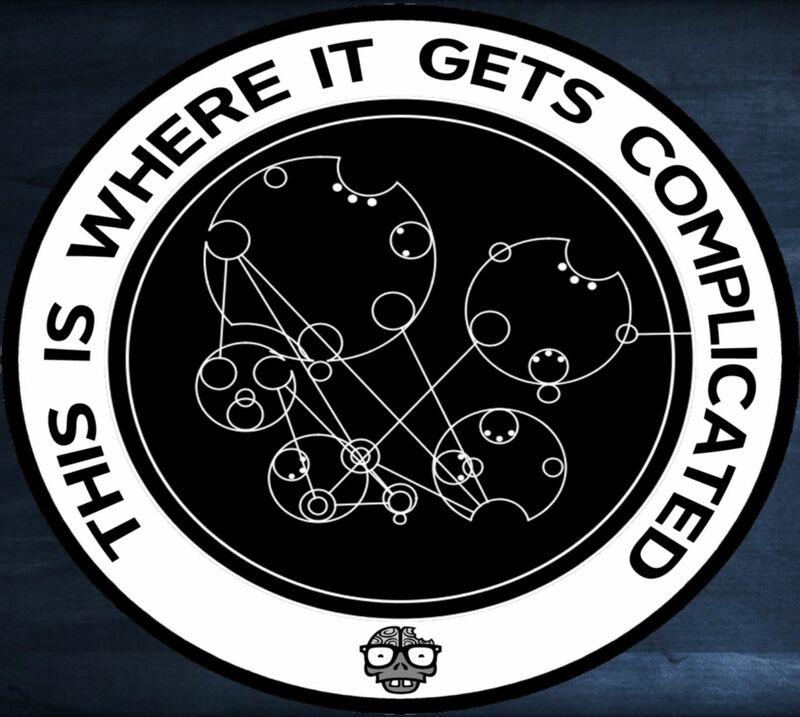 Welcome to This is Where It Gets Complicated, a new Doctor Who podcast hosted by John (NotLG Network), Lauren (Doctor Who Companion Show on Nerdist.com, A Madman with a Box Podcast), & Mike (The Time Scoop). This monthly podcast features short segments discussing various aspects of the Doctor Who universe. In this first episode we begin a dive into the world of Torchwood, debate which Doctor has the best costume in our Costume Showdown tournament, and take a look at "Technophobia" in Finish at the Finish, our Big Finish audio play review. In future episodes we'll be incorporating additional features like convention reports, interviews, cosplay talk, and other wacky stuff along the way. Let us know your thoughts on this episode and what you would like to hear in the future!